Checking on your vision regularly provides an opportunity to correct specific concerns. When you notice a change in your vision, an optometrist may recommend prescription glasses. Depending on your situation, the type of glasses we recommend for your eyes and specific visual concerns may vary. When do you Need Prescription Glasses? As a general rule, you need prescription glasses when an optometrist determines that your vision requires corrective lenses. In many cases, it relates to farsightedness or nearsightedness; however, you may need glasses if you have other eye conditions or concerns that complicate your ability to see clearly. An optometrist recommends different corrective solutions based on your situation. We may consider your lifestyle before suggesting appropriate materials or frames improve your vision. When picking your glasses you may want to consider sturdy materials when you have young children in the home or face potential challenges related to your lifestyle. In other situations, you may benefit from a change in materials or lens coating to create a style that fits your situation. At our clinic, we help you find the right frames and materials for your prescription glasses. We may suggest discussing different materials with our optometrist before you finalize your choices. If you need a sturdy solution for sports or outdoor activities, then we may suggest Trivex or polycarbonate materials rather than use standard plastic. Alternatively, we may suggest photochromic lenses when you have concerns about changes in the lighting or have sensitivity from an eye condition. Our suggestions focus on your specific needs and goals. 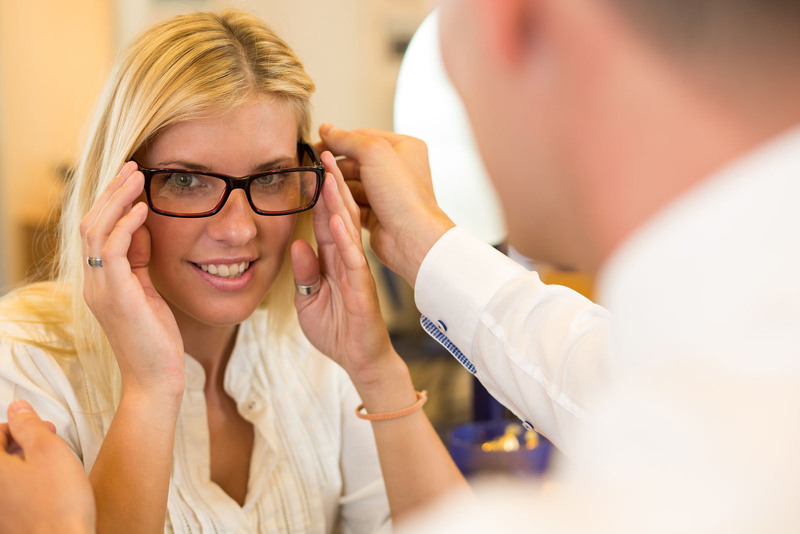 Dr. Moore can help you find the right glasses for your specific situation. Whether you want fashion frames and styles or you need a sport-friendly solution for your normal activities, we provide the options you need to reach your goals. We also assist with the materials based on your budget and standards. By focusing on the prescription and the standards you require for your normal activities, we help you clarify your goals and determine the best option for your eyes. We also ensure that the glasses fit in with your budget and you feel comfortable with the options we provide. Contact Our Office in Reno for More Information Today! Finding the right glasses to correct your vision depends on your situation. By working with our optometrist to clarify your prescription and ensure that the glasses comply with your specific needs, you avoid complications with your vision. We can also assist with your goals when correcting your vision by ensuring that the lenses and frames will allow you to enjoy your normal activities. To learn more about different types of glasses or to set up an appointment with Dr. Moore to check on your eyes, call us at (775) 507-7171 today.